Hello everyone! 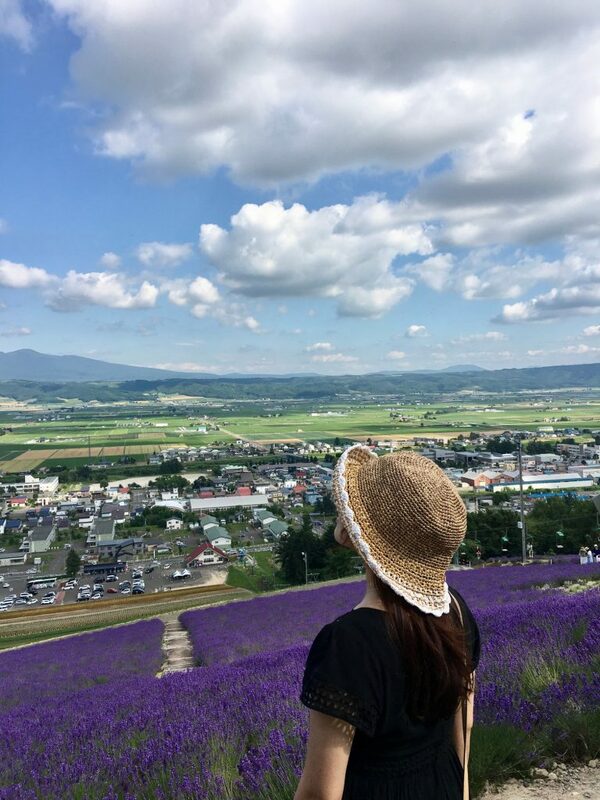 I have just returned from the blossom paradise of Japan, Hokkaido~ This is my long awaited trip because I am a fan of lavender and other flowers field. 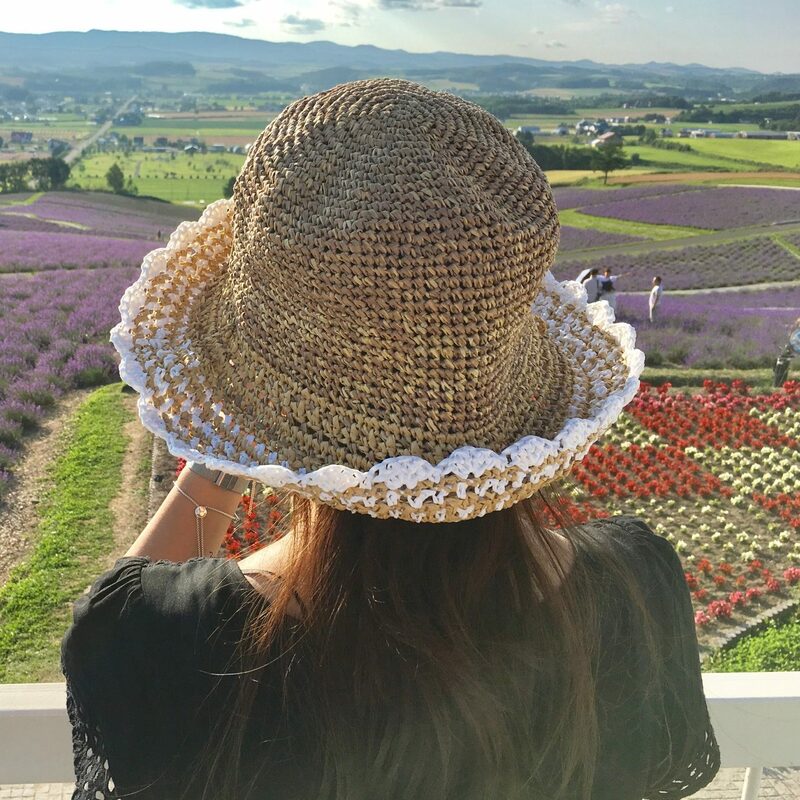 To get prepared for the superb scenic journey under big sunshine, I crocheted myself a Summer Bucket Hat to protect myself from the strong sun. 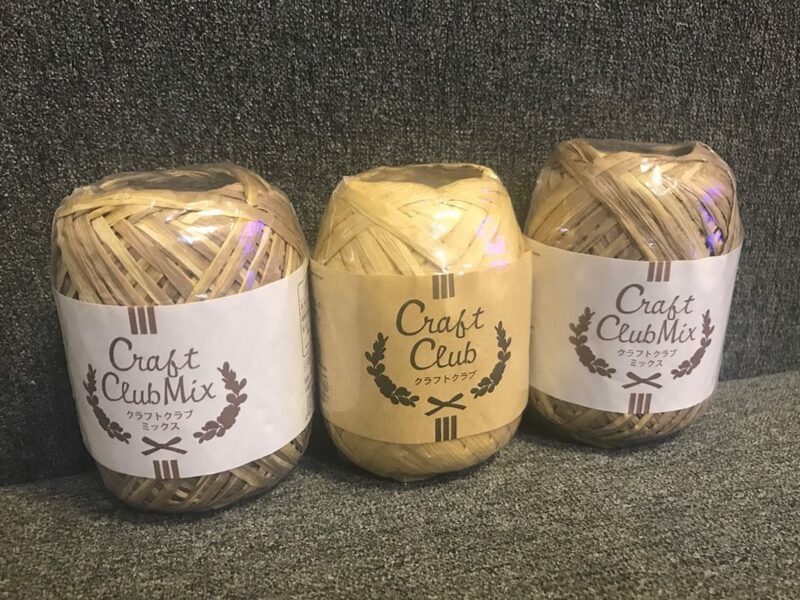 These are the paper yarn I got from a Japanese store. They are perfect for crocheting bucket hat. However, as it is paper, it takes a lot of energy to make the stitches. My fingers felt fatigue from time to time. It took me a couple of weeks to crochet as I have to give my hands some breaks in between the process so as to avoid hand pain. In case you need to make one with deadline, spare enough time for yourself. With reference for a free pattern shared on a Japanese website http://gosyo.co.jp/, I started to crochet my very first bucket hat. But as the reference pattern is not exactly the style I want, I adjusted some rows and stitches myself. This is the first style which is more simple and good for both men and ladies according to the feedback on different crochet group. 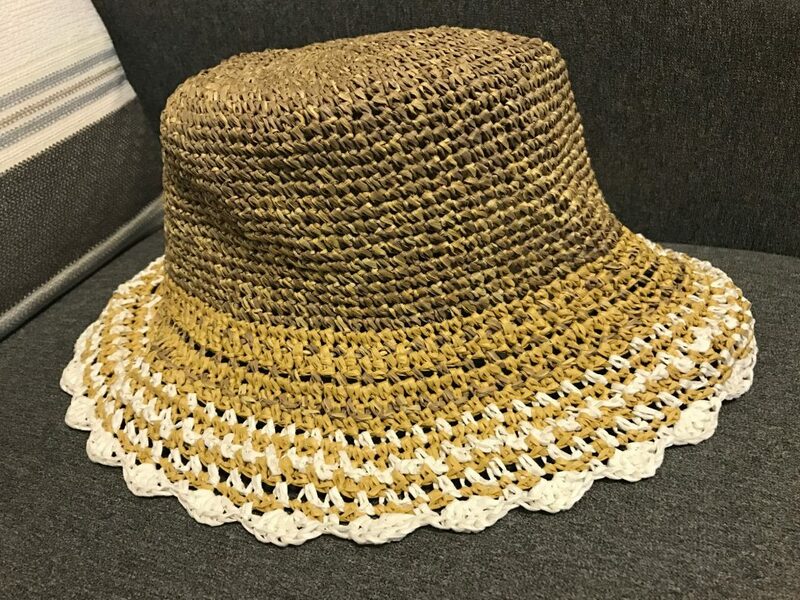 While this is a more girlish style and at the same time better for blocking the sun, it also gained many supports from the crocheters in the group. I have been hesitating which would look good on me. 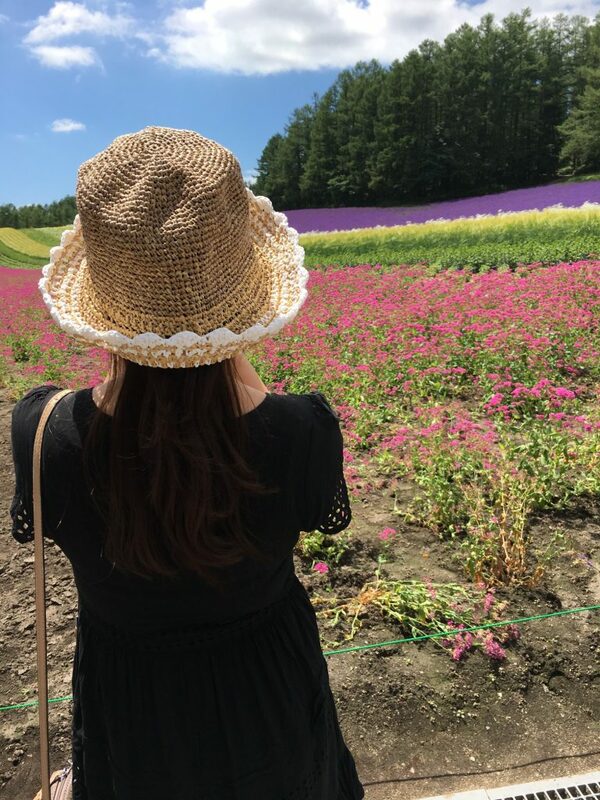 At last, I chose B because functional-wise, B can save me from the strong sunshine and this is the main purpose of crocheting a bucket hat for the trip. As it is based on an open source free pattern online, so let me share out the original pattern here.